So there are many causes of failure for unable to quiesce a VM while taking a snapshot and this is one of them I came across while working on an issue. There was a virtual machine which was being backed up by VDP and it used to fail when VDP was initiating a quiesce snapshot on it. 2016-06-10T14:00:53.576+04:00 avvcbimage Warning <19733>: vSphere Task failed (quiesce, snapshot error=45): 'An error occurred while saving the snapshot: Failed to quiesce the virtual machine.'. 2016-06-10T14:00:53.576+04:00 avvcbimage Warning <0000>: The VM could not be quiesced prior to snapshot creation and this backup will not be used as a base for subsequent CBT backups if successful. 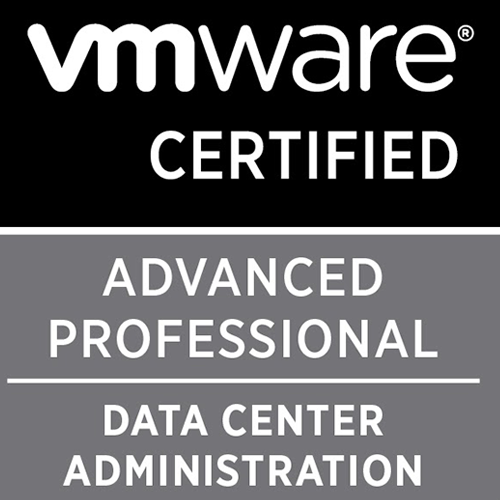 So we tried a couple of basic troubleshooting steps such as uninstalling VMware tools and reinstalling it, moving the virtual machine to a different ESXi host and a different datastore. Everything produced the same result, Failed to quiesce the virtual machine. So if I quiesce snapshot the virtual machine from vCenter, it completes successfully. Only quiesce from VDP failed. All the VSS writers were in a healthy state without any error. Then, I proceeded to check the Event Logs for VSS issues, and there was none. 2016-06-13T18:01:57.770Z| vcpu-0| I120: [msg.snapshot.quiesce.vmerr] The guest OS has reported an error during quiescing. 2016-06-13T18:01:59.797Z| vcpu-0| I120: SnapshotVMXTakeSnapshotComplete: Snapshot 0 failed: Failed to quiesce the virtual machine (40). So from vmware.log I saw logging regarding guest was unable to quiesce the virtual machine and VSS sync driver failed to start which led to failure of snapshot creation. Something was going on the VSS end. The VSS writers were good, so I proceeded to check the VSS providers. If you see here, 7669 is not a provider UUID. So, I took a backup of registry, and deleted this entry from the registry post which quiesce snapshots were successful from VDP. Hope this helps to someone out there facing this issue.